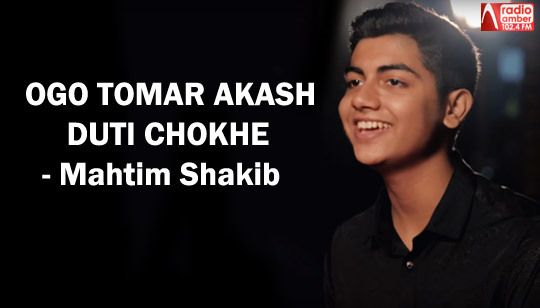 Ogo Tomar Akash Duti Chokhe Lyrics by Mahtim Shakib: Presenting bangla romantic song "Tomar Akash Duti Chokhe" originaly This song is sung by Nirmala Misra And Remake version song is sung by Anwesha Dutta Gupta And Many Various Artists. Music composed by Ravindra Jain And Nachiketa Ghosh. Music Rearranged by Tasnuv Nawal Rahman.